The congregation of this Carpenter Gothic church in the Mars Bluff vicinity of Florence was formed around 1842 when residents of the community asked Dr. Edward Porcher, a surgeon who had previously lived in the Lowcountry, to help organize an Episcopal church. Dr. Porcher had connections with Bishop Gadsden of Charleston, the fourth Episcopal Bishop of South Carolina. A small church was established following this request, and the new congregation gathered in a schoolhouse near Blooming Grove Plantation. Services were initially led by visiting priests from Trinity Episcopal Church in Society Hill and St. David’s in Cheraw. In 1859, Dr. Porcher donated two acres of land for the construction of a proper sanctuary to serve the growing Episcopal community in Mars Bluff. This Cruciform, or cross-shaped, building was consecrated on June 5th of that year. Though small, Christ Church became a vibrant part of the community over the next 50 years. However, parishioners began attending St. John’s Episcopal Church in downtown Florence in the late nineteenth and early twentieth centuries, causing Christ Church to close in 1918. The church reopened for Bible classes in the 1930s, and in the 1940s, special worship services were held in the historic church. It finally became a mission church of St. John’s in 1950 until becoming its own parish church in 2015. That year, Christ Church joined the Episcopal Diocese of South Carolina in the Anglican tradition. Christ Episcopal Church was constructed in 1859 and is an excellent vernacular example of the “Carpenter Gothic” (Gothic Revival) style of architecture. Cruciform in plan, the church is of board and batten construction and rests upon low brick piers. The roof is steeply pitched with simple wooden brackets supporting the eaves. Windows and doors are pointed-arched and feature simple wooden tracery. 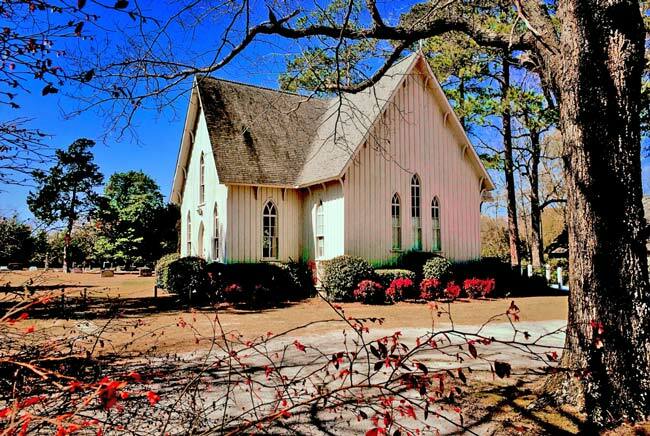 The church is exemplary of the small and frequently isolated churches in South Carolina which have played an important part in the religious and social life of their surrounding communities. 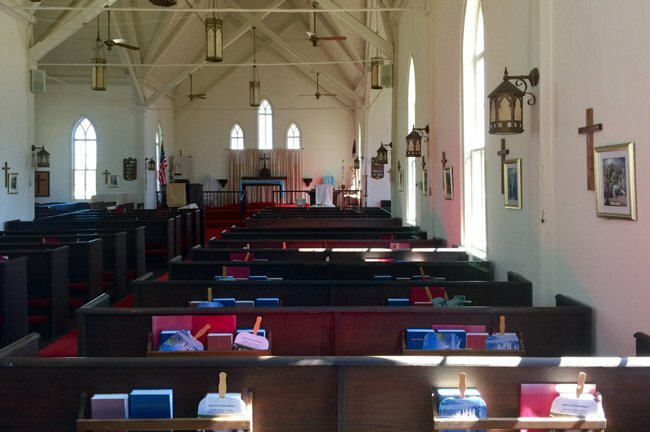 The history of Christ Episcopal Church began ca. 1843 when Dr. Edward Porcher, formerly of the lower part of the state, was successful in arranging for Episcopal services to be held in the Mars Bluff community. In 1859, Dr. Porcher gave two acres of land on which the present church was erected. Families associated with the church included Greggs, Bacots, Ashbys, Harllees, Rogers, and McCalls. Adjacent to the church and included in the nominated acreage is a cemetery that contains the graves of many of the original parishioners and their descendents.